Author Ken Dooley and I are happy and proud to have combined our experiences; his as a noted author and playright, and mine as designer and computer specialist, to be writing and producing a book about World War II, Relentless Pursuit. This started as a simple request to get honors for 2nd Lt Robert Thorpe. 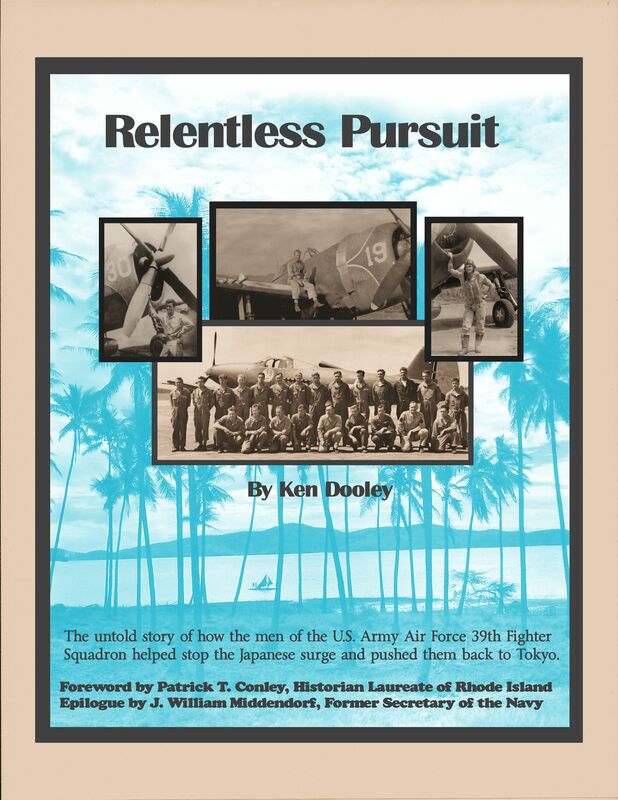 It quickly became a more encompassing book about the 39th Fighter Squadron activities in the Pacific theatre during WWII. We have enjoyed the many months doing this creative work motivated by our mutual respect for those who made the ultimate sacrifice in WWII. The initial copy of the book was submitted to the publishers at the end of April 2015. We expect published copies by the end of July.